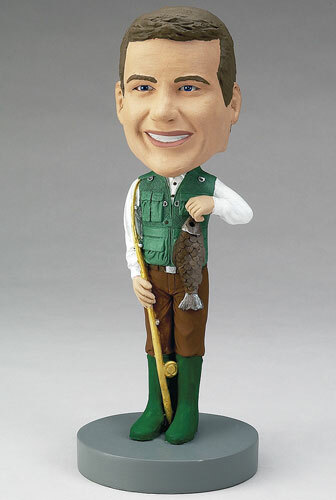 An avid sportsman will love to have his own custom bobblehead of a fisherman, especially if it shows him holding his prize catch. Customize the colors of his waders and fisherman's vest, and add a hat covered in tackle if you'd like! You can even engrave the base with the date and measurements of his spectacular catch.